We spent a few moments with the new Padfone - a phone that that plugs into a tablet - and the Fonepad, a small tablet that doubles as a phone. 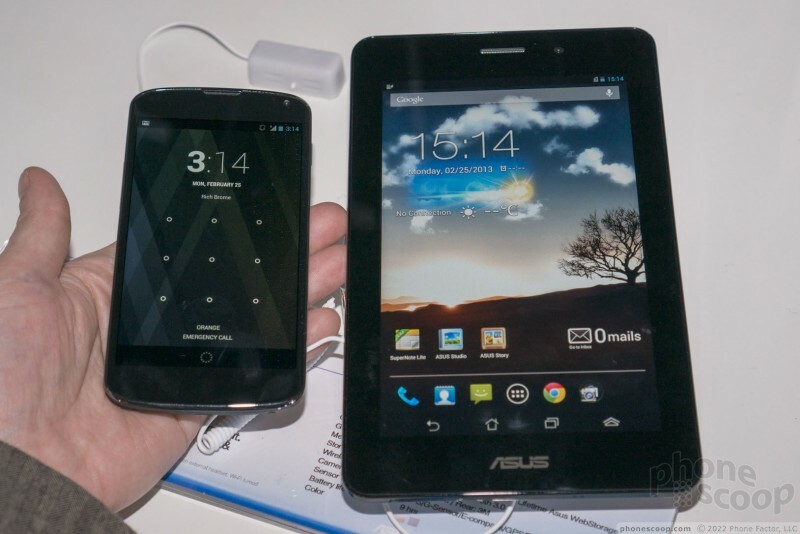 The Asus Fonepad is technically a phablet, a very large phone or small tablet. However, with a 7-inch screen and a large bezel around that, it's at the large end of a category that's large by definition. Picture a Nexus 7, and you're close to the size of the Asus Fonepad. This isn't a high-end device, though. If that's where Samsung is going with the Note 8.0, Asus is happy to snap up customers at the other end, with the cheapest possible phablet. At just $249 - full price - they've achieved something significant. To reach that price, Asus put just a 3-megapixel camera in the Asian version, and no camera in the European version. 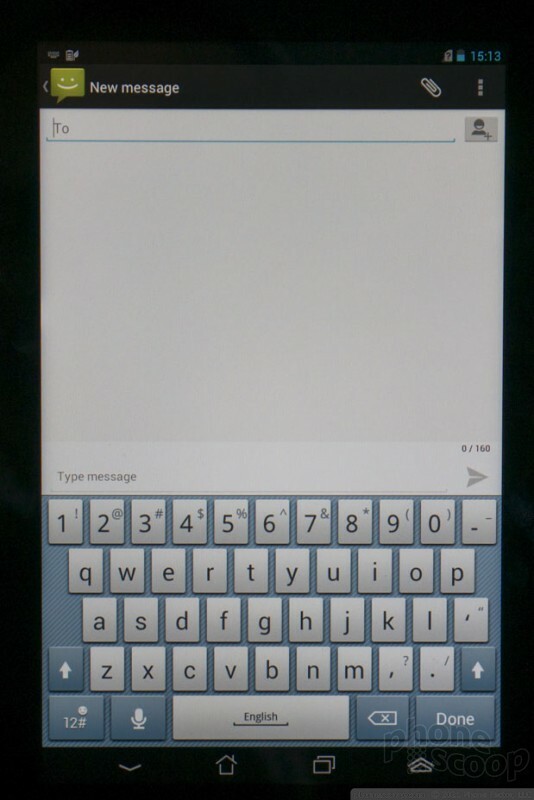 The display is also just 1280 x 800 pixels, which is good enough for 720p HD, but a full-HD stunner this is not. Also left out is LTE 4G, (this is a GSM and WCDMA 3G affair,) which by itself probably excludes the Fonepad from distribution on any major U.S. carrier, since most now require 4G in their Android devices. You do get a memory card slot, though. The Fonepad feels good, at least for the price. It's a nice shape and design, that's comfortable to hold and use. Simply the size of it is the uncomfortable part for me, but that's just me. 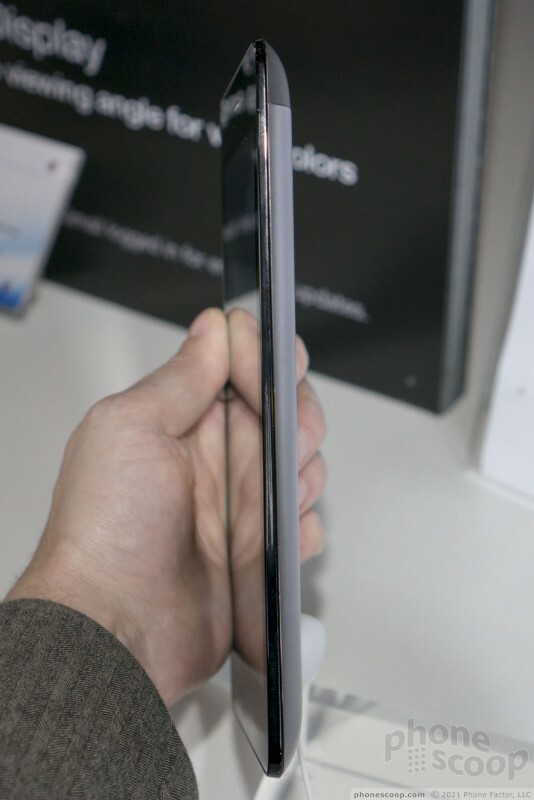 It's definitely huge for a phone. If you thought a Galaxy Note looked odd against someone's head, this will positively make you look like a clown. But if you think of it as a 3G tablet, it makes more sense. The buttons work well enough. The back feels neither cheap nor luxurious. It's a metallic plastic that could easily be mistaken for magnesium. 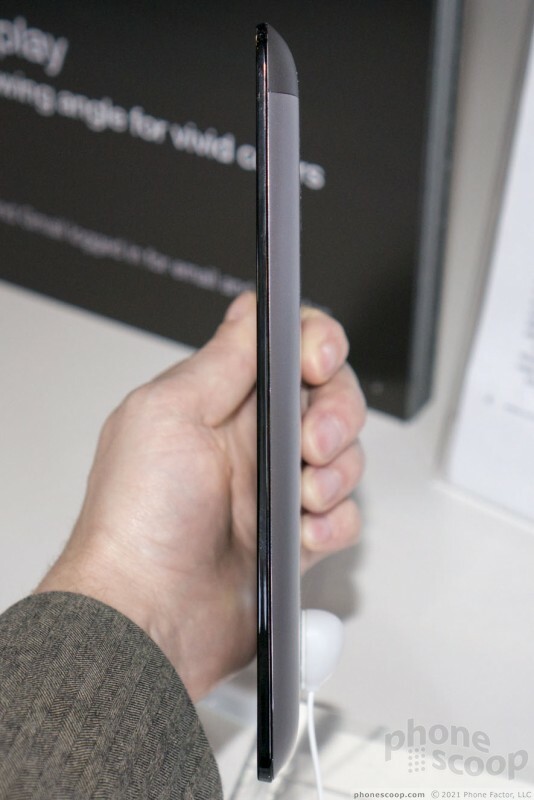 I wish it were just a tad thinner, but that's probably related to the price. It's not unusually thick. The keyboard software could be better. I found it unreliable and oddly sized and shaped. 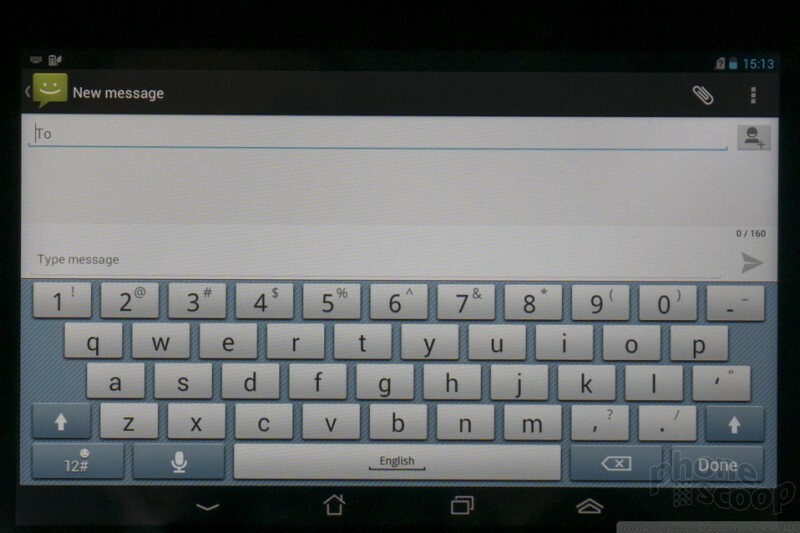 It's too big to type one-handed in portrait, and in landscape mode, I found it difficult to type on like a laptop due to short row height, and too easy to activate the softwarehome button below the space bar, exiting whatever app you're in. You'll want to try out some third-party keyboards with this device. Still, at the end of the day, it's a great price. 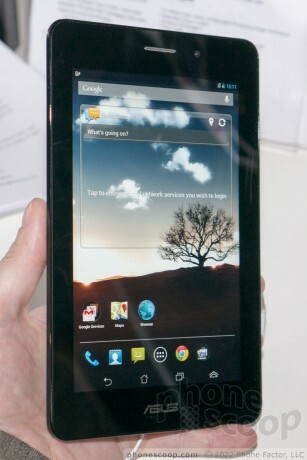 If you need a large screen phablet on the cheap, this is an intriguing entry. The upside is that this is one device with an accessory, and not two devices. It works well for both platforms and you don't have to go through the rigmarole up keeping two devices in sync. I fail to understand how you don't find this infinitely more useful than having both an ipad and an iphone. I agree the device is a little expensive, but in my mind it has clearly upstaged the Note II as the best device on the market. I can only hope this comes to Sprint. Well, services like iCloud make keeping two devices in sync almost a non-issue, in my experience. I do see the appeal of just having one set of apps and settings and the little things that don't sync. But I can't get over the price. I wish the Padfone would hit the US market because it is an interesting device and with the US carriers subsidizing handsets it might actually be affordable.